It’s not the first time the cute duo have sparked romance rumours but they have finally confirmed it and have addressed the speculation once and for all. “I mean I was gonna use my podcast to break the news, but I guess the Today show beat me to it,” Kaitlyn joked during the morning show segment, confirming they are an item. 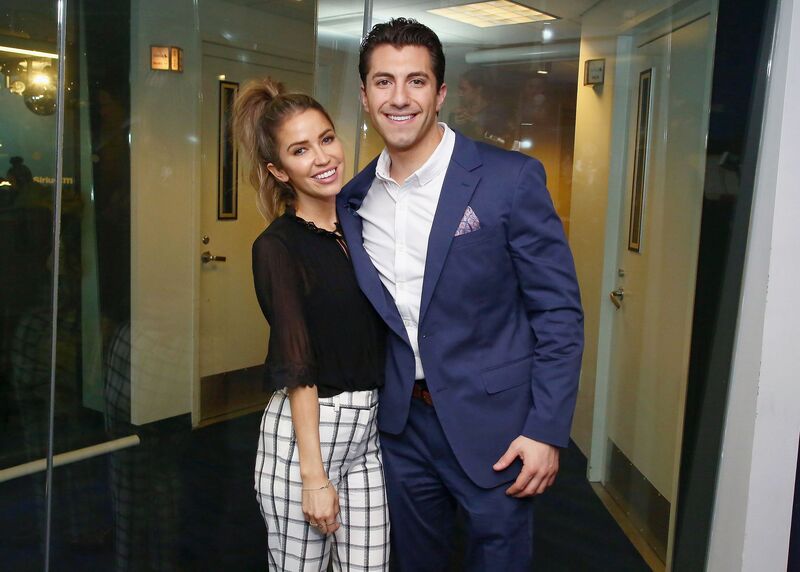 Ever since Kaitlyn Bristowe and Shawn Booth broke off their engagement, there has been nothing but drama surrounding the two and Kaitlyn’s new boyfriend, Jason Tartick. According to Shawn, Kaitlyn is “blasting” her new relationship everywhere “knowing that it could hurt.” He also said Kaitlyn and Jason started dating back in November, which is the same month that they broke up. However the couple stand firm that they only began dating just over a month ago and were nothing more than friends before that. “We were friends, a little banter here and there, and then friendship turned into a relationship.” said Jason. After confirming their romance, Kaitlyn and Jason posed for a photo together at SiriusXM Studios in New York City pictured above. In early January Kaitlyn and Jason spent their very first date together and documented on social media for all her fans to see. Since then, the duo has been spending a lot of time together and seem to be pretty inseparable despite living in separate cities.